Hello everyone. In this thread i will make development logs for my new game. 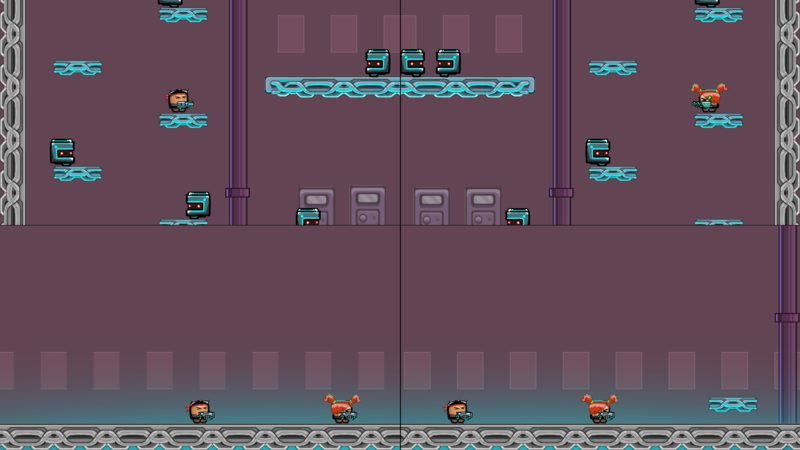 It will be HD sequel to my old game Scrappers. Below you can find screenshots and gameplay video from old game. Making splitscreen deathmatch. Have placed respawn points on map and respawn players in it in random order. To make it i add all points to list and choose one of them randomly then delete it from list to avoid duplicate. Wonder how you do it? Friends, is there a way to hide big screenshots like this under spoiler? It will be good to have a tool in GameMaker for object grouping. What tools you use for grouping? Hey man, this is looking good! Kind of reminds me of that flash game Raze that used to be popular. Keep up the good work! Thanks a lot. Working hard to make it looking even better. 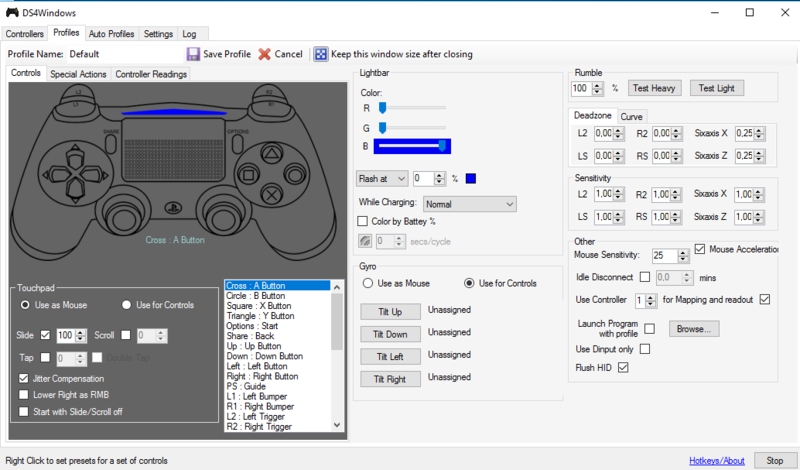 Using SCP program to connect #PS4 and #PS3 gamepads to #windows10. Also good program DS4Windows but it only works with #DS4. Experiment with shells physics and recoil. Preparation and participation in the Game Planet took a very long time. Just today I was able to return to development. The event was awesome. 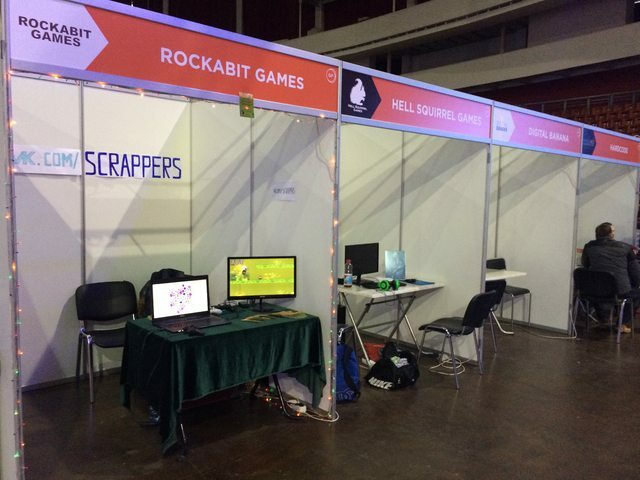 I showed my game to real gamers, got feedback, met great developers, got new skills. Here how looks my stand before the beginning of festival. First test of shotgun recoil. Need to add more particles. Should I hide shells in air or on the ground? I have no time for gifs yesterday. So 2 today. Added some sparkles when shell hits ground. Added smoke from some shells. Don't know how to make it better. Any ideas? I have added smoke from weapon. Also shell restitution was increased. I have added this physical box. Plan to make it breakable. Hope it will be useful in future. 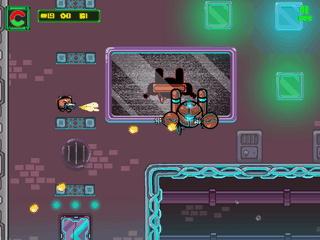 Have added bullet fly animation for one more weapon. Will call it railgun for a while. Meet green crab machines + also experimental trails. Awesome! The character designs look both cute and deadly! The detailed effects (gun smoke, particles) are excellent. Welcome Biggy. You are really fat. Game progress for november in 36 sec. Done very much and still need much to do. Finally bought Geon FX. It is best particle editor for Game Maker Studio and Game Maker Studio 2. Here is my first attempt to make effect in it. 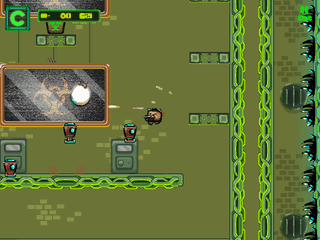 Have added Rocket Launcher. Who likes rocket jumps? What you think about gameplay feature like this? Weapon recoil compensate gravity. Hey, That looks quite fun!, Question though, Would it break gameplay if you gave the bulltets more power, So it slows you down much more faster? other than that looks great, Gameplay wise it could be usefull to aceess hidden areas you wouldent be able to with normal jumping. Thank you for suggestion! I think it will be possible to fly up with other weapon which will have more power and high rate of fire. Ahh i see, Different Weapons, Different momentum, That seems great! Did you think about weapon recoil as a weapon? For now it looks like a comb but it still has potential. Unexpectedly got video feedback. It is very helpful and i believe it will make game better. Have added portals. Do you like it? Indy Johnes, is that you? Have added golden gears from machines boom. Collect them and buy goods in shop later.